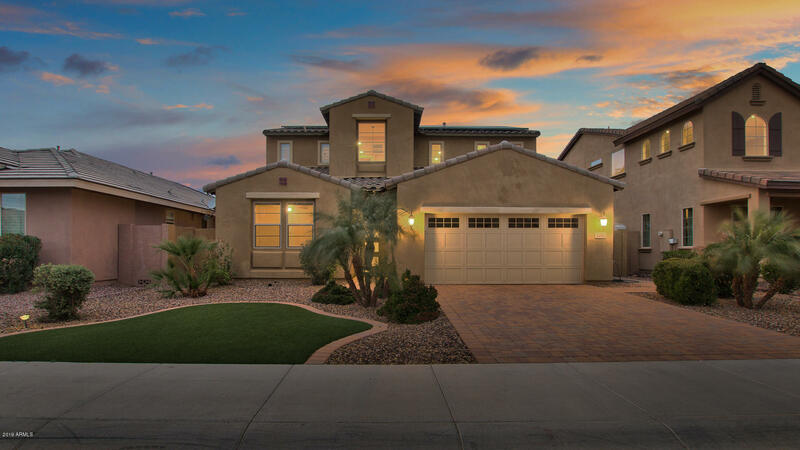 All MARBELLA VINEYARDS homes currently listed for sale in Gilbert as of 04/19/2019 are shown below. You can change the search criteria at any time by pressing the 'Change Search' button below. "Enter into this home through the large enclosed courtyard which welcomes you into this 5 bedroom, 4.5 bath home. This stunning home offers formal living/dining room, office, great room, & a bonus room. The Gourmet kitchen is an entertainer's dream showcasing an over sized slab granite island, stainless appliances, an abundance of highly upgraded cabinets, walk-in pantry, & a large glass slider that let's you step out to the covered patio. This home has 2 large master suites located on the first "
"LIKE NEW!! This beautiful SHEA 4 bed + flex room + loft home is now available! 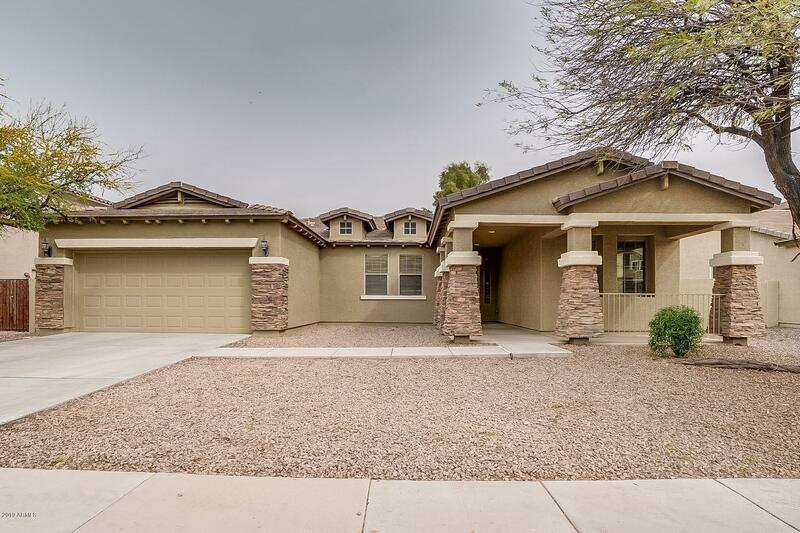 Featuring the outdoor centric great room and kitchen w/stainless steel appliances, granite counters, upgraded cabinets Downstairs features a full bed/full bath, separate dining room, flex room and a sound system that stays with the house. In addition, upstairs includes a master suite, two additional bedrooms, a full bath, and a large loft. Both front and backyard include low maintenance, high quality turf. 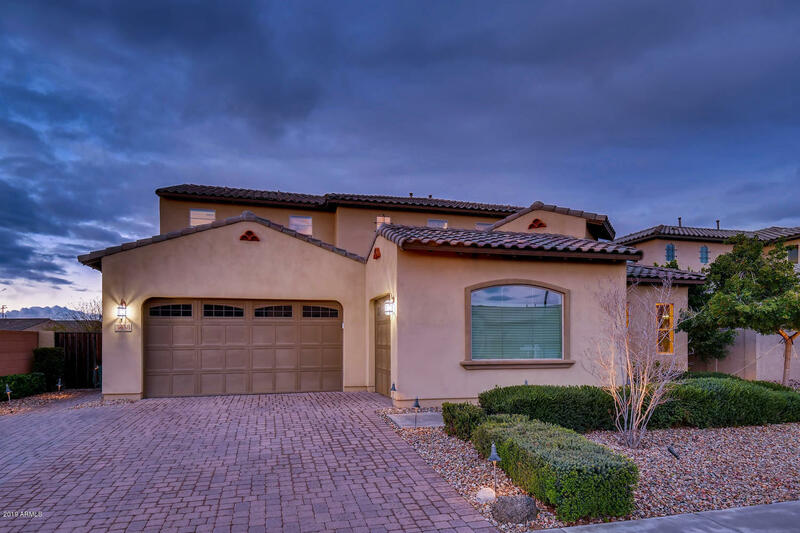 The life"
"Come see this 4 bedroom/ 2 bath, single story home in Marbella Vineyards that offers fresh paint inside and out and new carpeting throughout. The kitchen has ample counter space with an island, stainless steel appliances, and looks into the dining and living room. The Master boasts an attached ensuite with dual vanity, separate shower and tub, and a spacious walk-in closet. In the backyard, the covered patio opens to a low maintenance space, perfect for pets for hosting friend and family. Close "